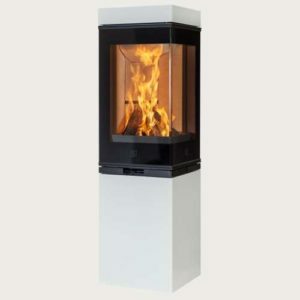 Shaped like a beautiful prism and boasts a 180◦ view of the flames. A hidden handle inside the unit in an elegant way to give it a clean and stylish look. 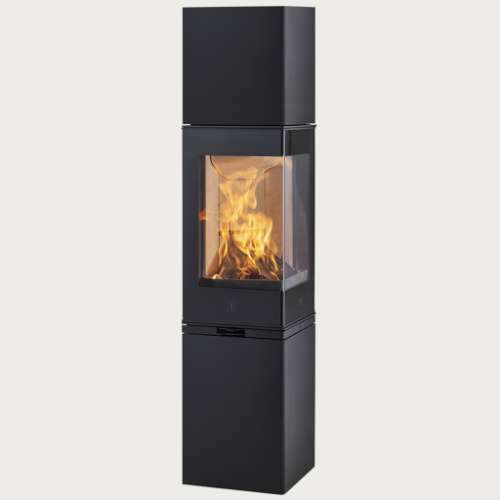 The Scan 80 is like a beautiful prism. 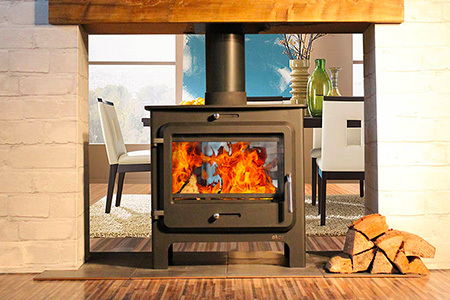 It boasts a 180◦ view of the flames. 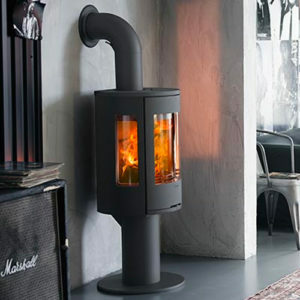 Due to its hidden handle, an elegant way to give it a clean and stylish look in true Danish tradition. 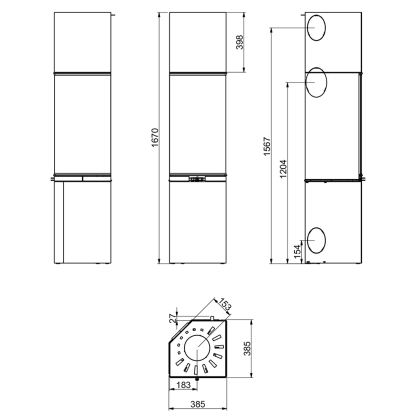 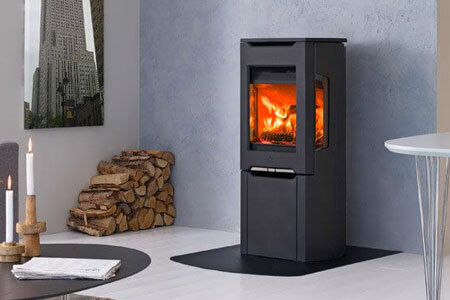 To hide the chimney, the Scan 80 could be installed in a corner. The result is an elegant installation where the unit is a classic centrepiece and an icon in your room. 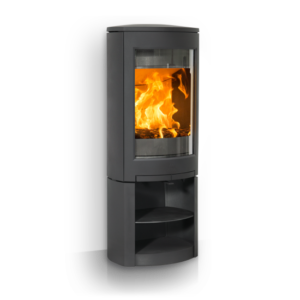 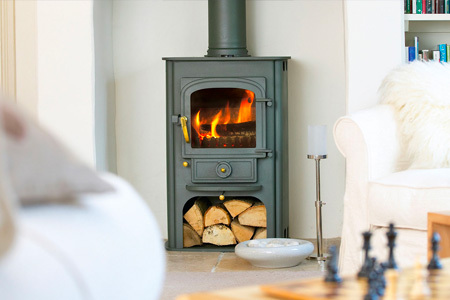 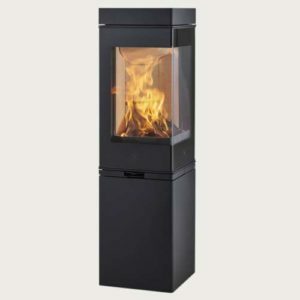 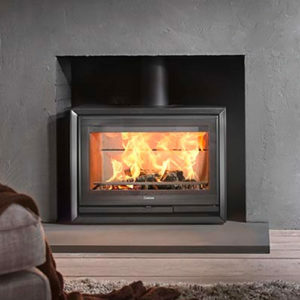 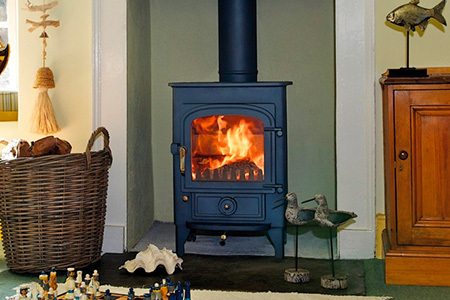 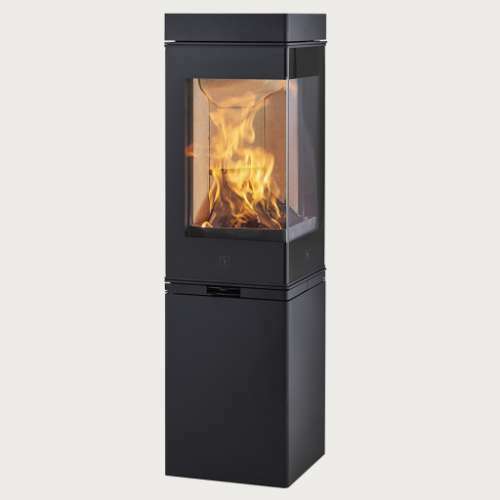 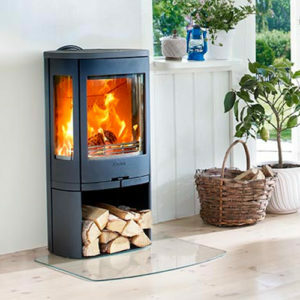 The tall version provides room for heat accumulating stones that will retain and give off heat for up to 12 hours after leaving the fire to dwindle.